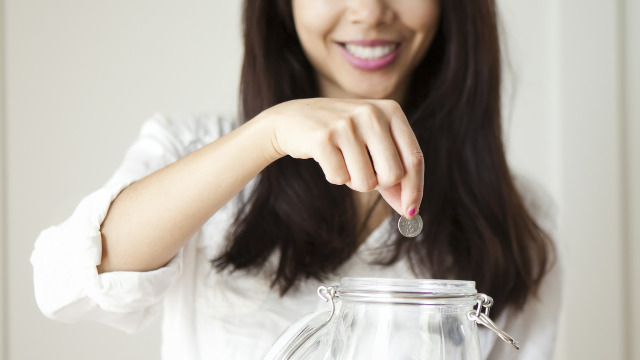 Upgrade your life with these money smart tips. You’d think that investing your hard earned money is complicated business. However, the thing about investing is that it’s not just about making your money grow, it’s about learning its value. This is why, no matter what age you’re in, it’s best to try your hand at different kinds of investment so you can have a better understanding of what your money can do for you. Here, we list some of the things you probably didn’t know you could invest in to help you become financially wiser. It’s definitely expensive, and you surely have a lot of planning to do, but buying your own home not only teaches you independence, it also has bigger returns in the future. Think of renting as spending on expensive coffee every day, versus investing in your own home as buying your own coffee maker. The latter is a lot more expensive than a cup of coffee, but over time, the real estate property value increases so you get more than what you pay. Of course there is also the security of living in a family friendly community when you finally decide to settle down. Along with building a nest of your own, it’s important to fill your space with pieces that will acually make it liveable. Buying home furniture isn’t always easy to do because you have to either buy a lot of items in one go or get one big-ticket item after another. While the first option may seem more logical, purchasing cheaper furniture with materials that won’t last you more than a year or two will just have you spending more. So allow yourself to get a basic bed made of rich quality wood and build your home from there. There’s always room to learn a skill or two--and profit from it. If you’re a fan of baking or DIY projects, you can open a small Instagram-based cupcake shop or DIY jewelry store. You need a lot of passion and time for it to take off, but at least you know that you’re investing in things you actually love and sharing it with the people around you. If you don’t have much time to spare, find a small online business that you like and offer to back them up wth additional capital so you can do profit sharing while helping them kickstart their business. If you think that supporting charities is a just a “rich people” thing to do, try looking at it from a different perspective. There’s a lot of talk around spending wisely and saving money but we fail to realize that money has better uses too. Find charities that are passionate about the things you stand for. Talk to them, volunteer, and see how you can donate on a yearly or quarterly basis to help push their activities forward. By knowing that you're investing in something that will have a bigger impact in your community, you'll learn the value of your money better. We know you’re excited for you 13th month pay, but it wouldn’t be wise to blow it all off in a day. Save a portion of your Christmas shopping budget and allocate it in long-term financial investments like mutual funds and stocks. If you're not sure how to do that (because, as we know, these things aren't easy to learn on your own), there are free financial workshops that will help you understand your options. Can’t wait to start? FemaleNetwork.com, in partnership with Lancaster New City, is having a #WomenCan event on October 15 to help women like you learn the ins and outs of meaningful investments. You can meet and dine with fellow FN Women while listening in on financial literacy tips from experts like Mica Tan, Rowena Suarez, and Rose Fres Fausto. To register for the event, all you have to do is RSVP through email with the subject FN Women Can. You’ll receive a confirmation email that you need to present at the event venue along with your ID. Check out below for more information, or click here to learn more about Lancaster New City.